Happy Monday!! It’s almost time to put down those pencils, fold up those drawings and push the carpet samples to the side…its Oktoberfest time!!! This year we have partnered up with some of our favorite companies to bring you Beer & BBQ. Join us at Sweetwater Brewery for a fun evening of beer, Fox Brothers BBQ and brewery tours! Stick around for product displays, samples and giveaways!! We are excited to party with you, so please come on by and enjoy some good times with us! This entry was posted in Events on October 5, 2015 by secontract. Can you believe it’s already fall and its time for our annual Oktoberfest celebration!!??!! This year we have partnered up with some of our favorite companies to bring you Beer & BBQ. Join us at Sweetwater Brewery for a fun evening of beer, Fox Brothers BBQ and brewery tours! Stick around for product displays, samples and giveaways!! AND stay tuned…Coming Soon…we’ve got some BIG news to share!!! 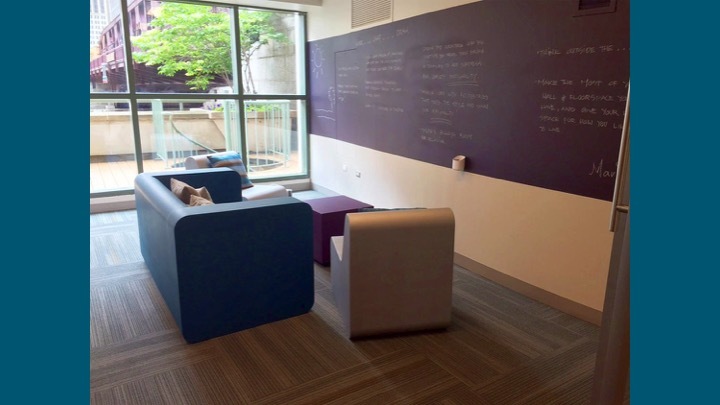 This entry was posted in Events on September 8, 2015 by secontract. Neocon 2015 was a great success! 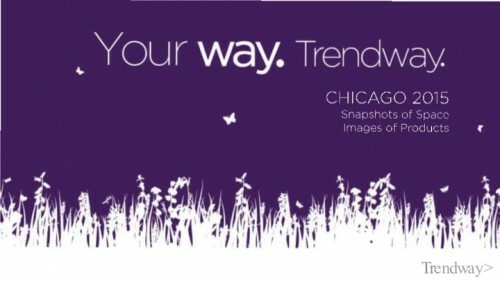 For those that weren’t able to make your way to Chicago or for the ones that have just returned and are currently resting those tired feet…Here is a recap of the new releases from Trendway (including some beautiful new designs from Trendway’s partnership with Magnus Olesen) and a look at their newly updated Chicago showroom! 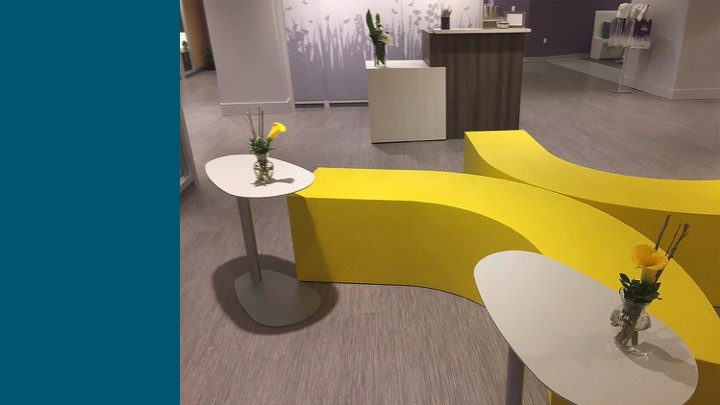 Trendway featured a selection of Magnus Olesen Designs in their Chicago Showroom this year. 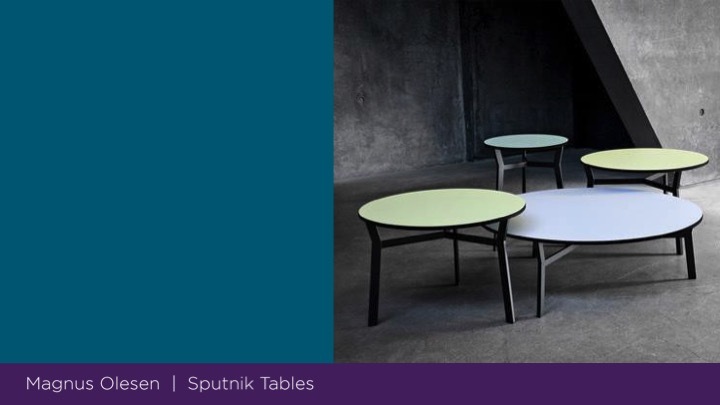 Founded in 1937, Magnus Olesen has a rich history of elegant, iconic and functional seating and table designs. 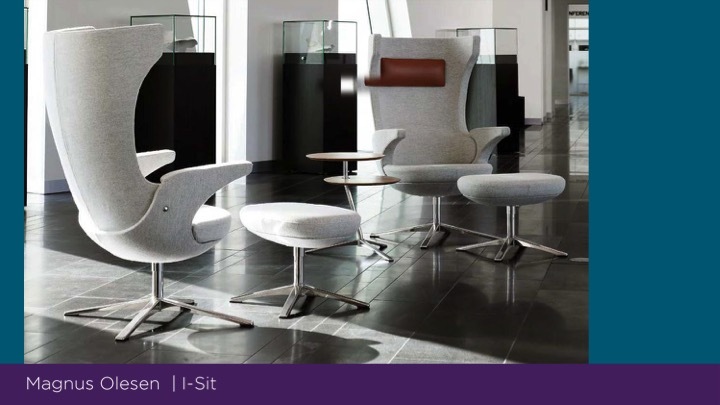 The firm collaborates with some of Denmark’s most celebrated designers and architects to produce top quality furniture for a variety of markets. Specializing in wood craftsmanship, Magnus Olesen offers warm Nordic-inspired creations with international influences and thoughtful design sensibilities. 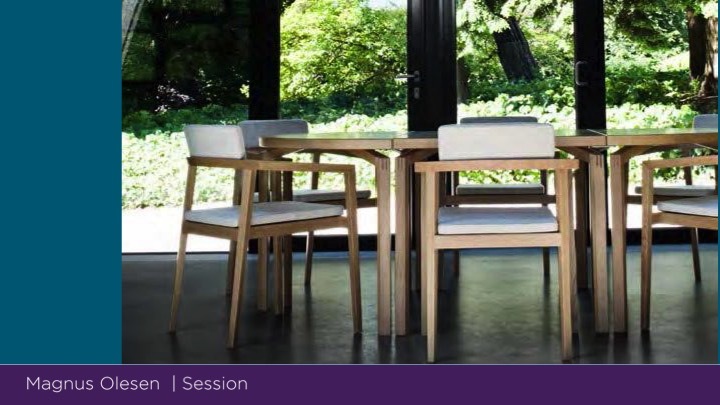 The category of high-end wood furniture provides a natural enhancement to Trendway’s current offering. 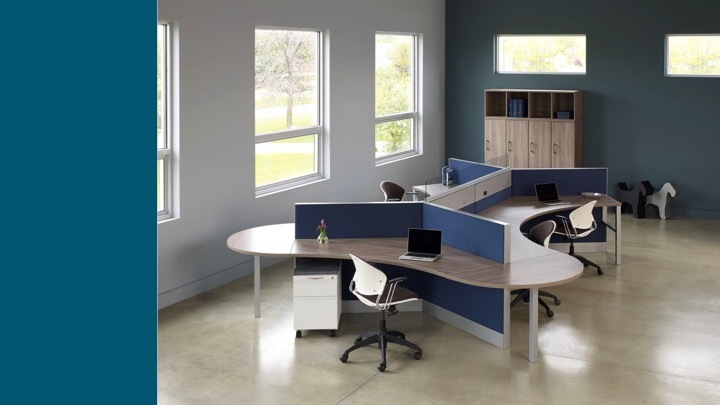 We can’t wait to see some of these beautiful new pieces in your upcoming projects! So please let us know how we can help make your creative designs a reality! 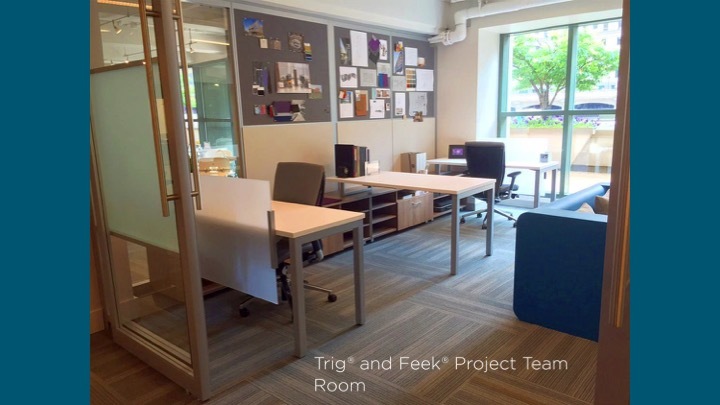 This entry was posted in Events, Product Updates and tagged Trendway on June 22, 2015 by secontract. 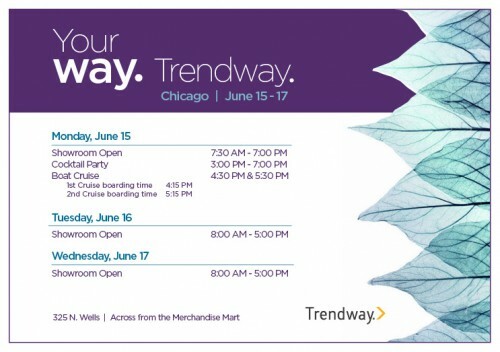 Be sure to stop by the showroom across from the Mart (325 N Wells) and join the Trendway folks to celebrate while you are in Chicago. 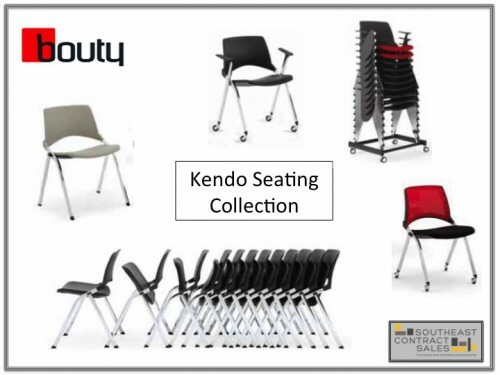 Bouty is introducing two new seating collections this year at Neocon. 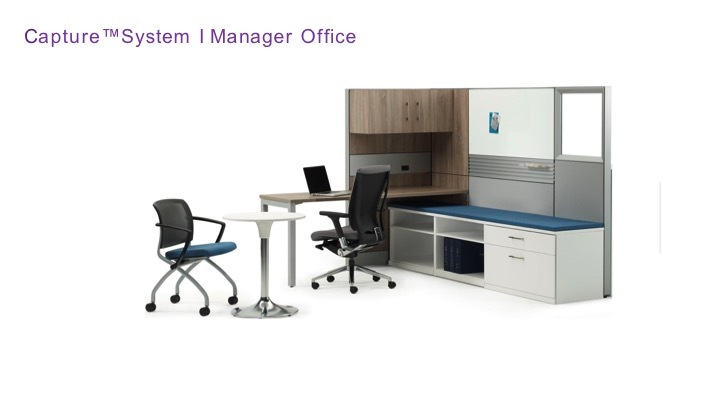 The first introduction is Kendo; a super versatile multi-purpose collection featuring stacking and nesting options, various arm and castor options and a cool sleek design. 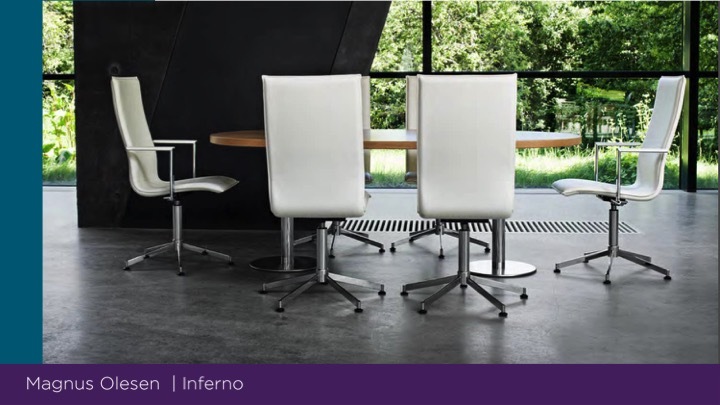 Agio is a sleek multipurpose collection with a ton of options. 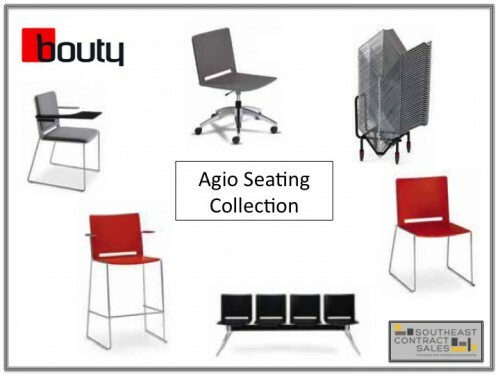 From stacking and 5 star base to group seating and barstools; there is an Agio solution for all of your projects! 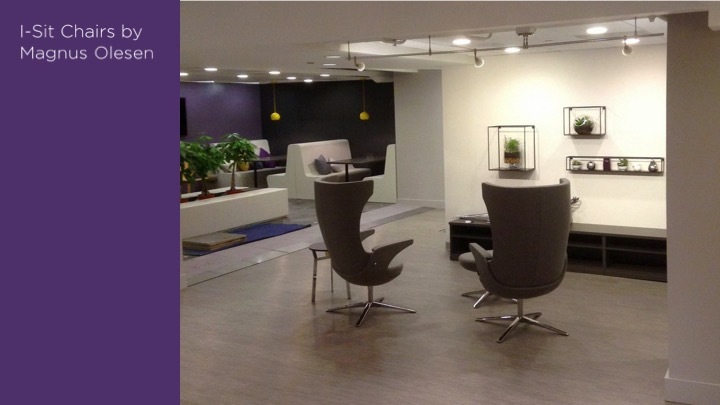 Traveling to Neocon? Well you are in luck!! 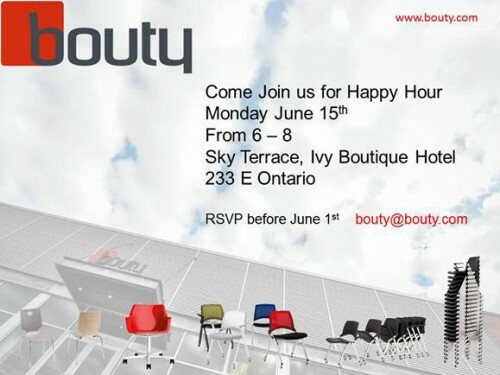 Join Bouty Monday for Happy Hour in the Sky Terrace at the beautiful Ivy Boutique Hotel. 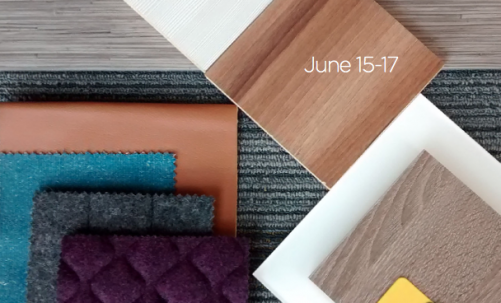 Wether you are making the trek to Neocon or staying close to home, we will be sure to update you on all the happenings! (Check out our Facebook page for on the spot updates!!) Safe Travels. 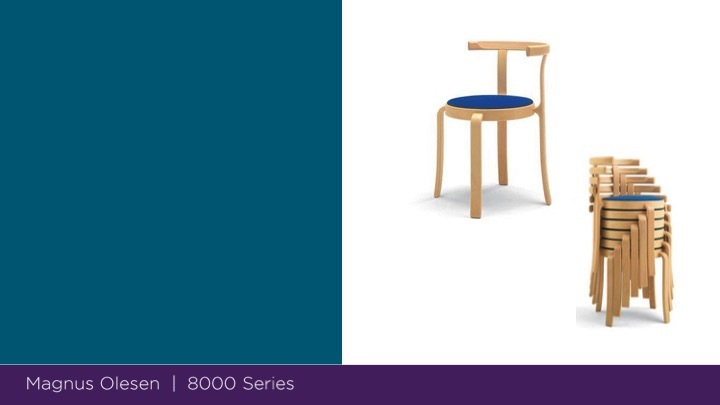 This entry was posted in Events and tagged Bouty, Neocon, Trendway on June 8, 2015 by secontract.